1/2 Accoyo Modern Rose Grey Champion! Champion Producing Medium Fawn Full Accoyo herdsire, now add the Legacy genetic line to that description and you really have something special. Now take the description and include his remarkable show career with Champion offspring, and the result is a male that can make a huge impact on a farm's breeding program. Placing in the top two positions at large Level V shows, this boy has been judged with all the top fawns in the country by the most experienced judges. 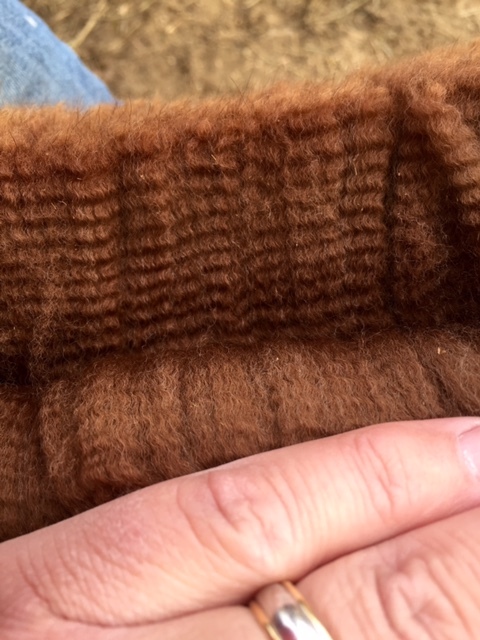 When we made the decision to breed Pandora to Principe, our decision was strictly based on producing the best quality alpaca, setting aside our color goals. 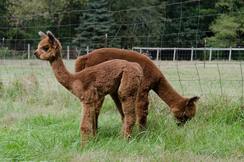 The Legacy/El Nino cross has proven to be a very successful cross in the past, and we knew this pairing would produce a beautiful alpaca regardless of color. To our delight, not only did we get the quality we were planning for, we also were rewarded with a beautiful Light Rose Grey Female! HFAR Principe's Peruvian Selene is a FULL PERUVIAN, ½ ACCOYO, MEDIUM ROSE GREY female. She is showing excellent density, consistent crimp, beautiful brightness, and extreme fineness. These traits are to be expected considering her lineage: Michelangelo, El Nino, El R Peruvian Luciano, and Legacy. This girl represents the best of the best! 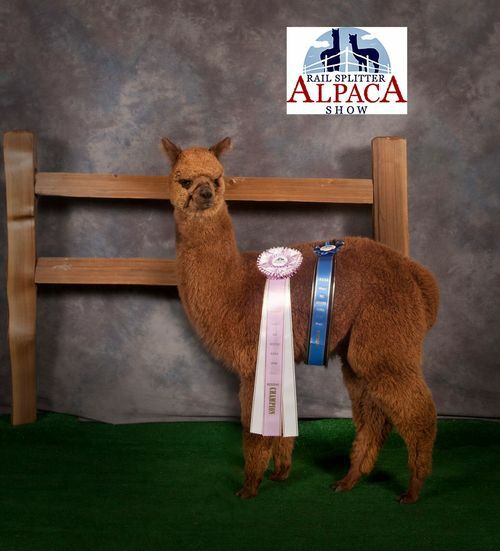 Selene made her show debut in March at the IAOBA Railsplitter Show, taking First Place and Reserve Color Championship at just 6.5 months old! Extreme fineness and consistency with excellent density. She followed up with a Second Place at the AOA National Show the following weekend! 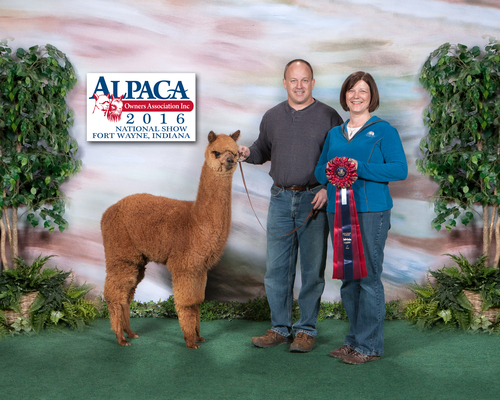 Selene wrapped up her spring show season with another 1st Place at the Wisconsin Alpaca and Fiber Fest Show! Update: 6/7/2018 Selene delivered a beautiful Dark Rose Grey Female!